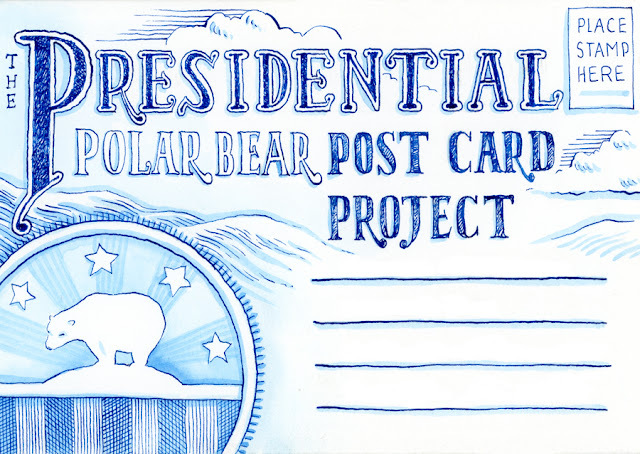 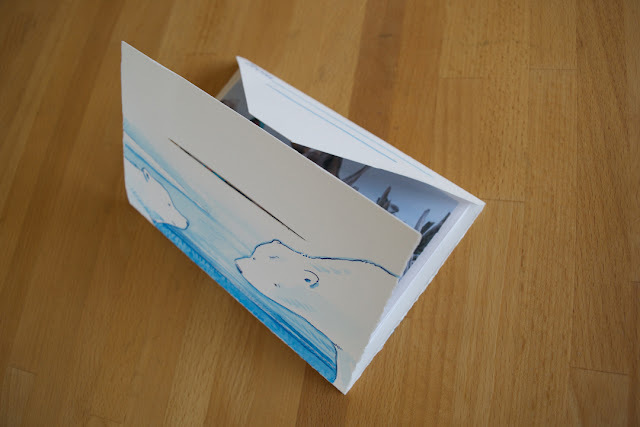 Welcome to The Presidential Polar Bear Post Card Project! 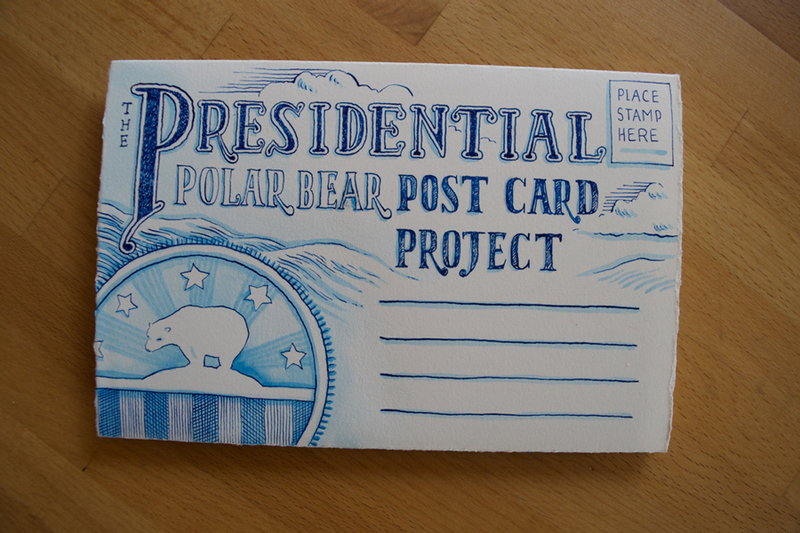 From October 2015 through December 2016, I sent 310 hand-painted post cards to President Barack Obama. Inspired by a September 2015 trip to the Arctic National Wildlife Refuge I wanted to use my art and illustration as a way to advocate for something that I care deeply about - and to try my best to impact/encourage potential arctic policy actions in the final year of Obama's presidency. 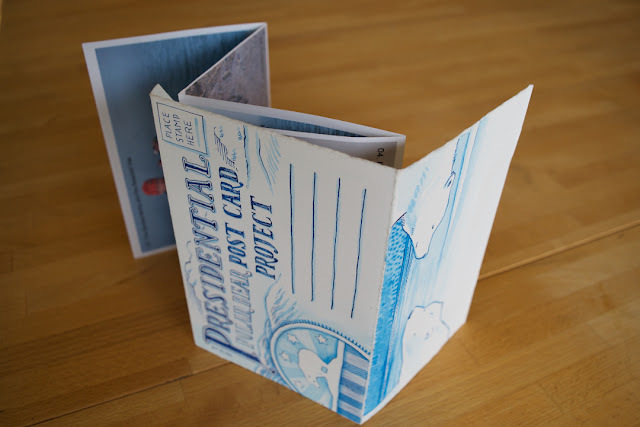 Although this project was completed at the end of President Obama's second term in office, there is never a wrong time or place to take express your opinions on important issues. 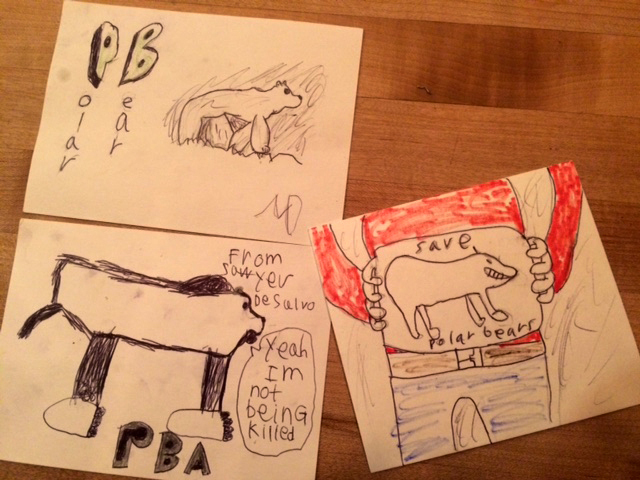 ** Teachers, librarians, and parents, if your kids are interested in creating their own post cards to advocate for arctic protections, the inspirations are practically endless! 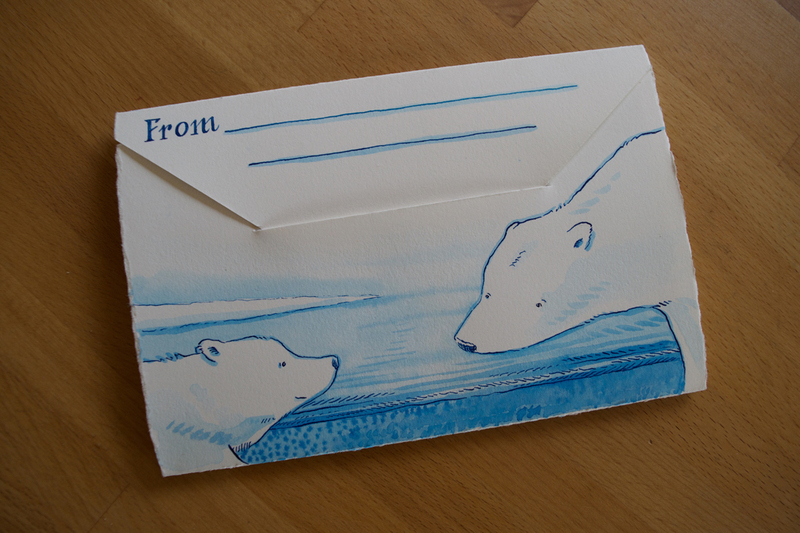 Scroll through my submissions for sure, but as long as there is a polar bear involved, almost anything will work. Yes, some of my cards are connecting climate change and the Arctic, but many others are just simply fun, or colorful, or experimental in their design and execution. 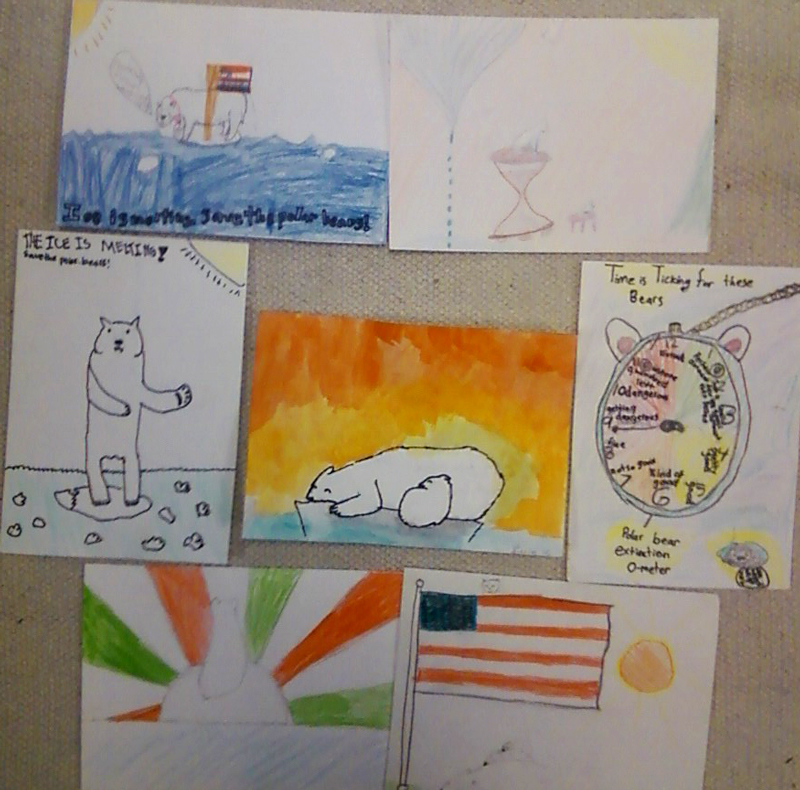 There are endless opportunities here for connecting kids to real-world issues, but just as important is the chance for them to express an idea of any kind, and to take some small action through their own artistic efforts. If it's fun and interesting for the kids to create, then it will be even more enjoyable and impactful when then arrive shortly thereafter in the President's mailbox. 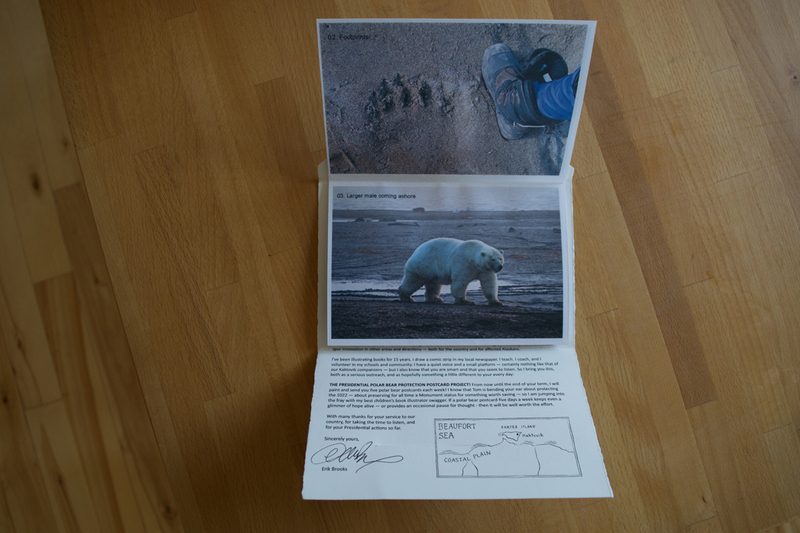 Thank you again for your interest and enthusiasm for Arctic issues. 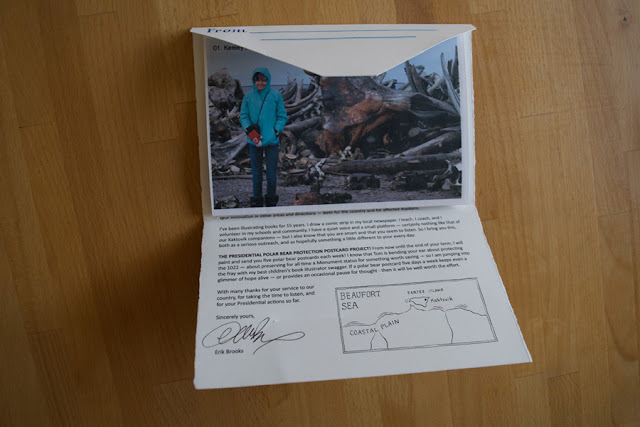 Barack Obama listens. I'd be surprised if he didn't respond to your barrage of postcards. 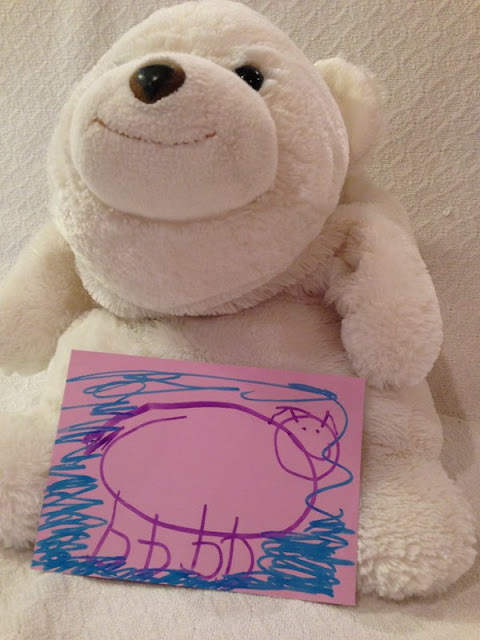 And he cared, and does still. Thank you for your fantastic mission.